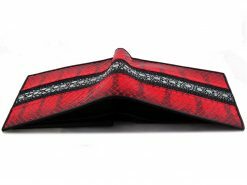 Custom leather wallets don’t often combine multiple exotic leathers such as stingray and shark leather but we do. 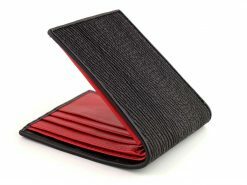 Our “signature series” wallets are designed in house and one of our most popular styles. The cream central band of “pearls” is made by sanding down the row of protective spines found running down the stingray’s back and tail. 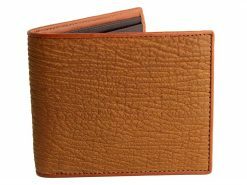 Genuine shark leather perfectly compliments the ray skin. 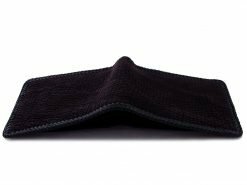 Shark is one of the most durable leathers on the market and will outlast normal cow leather many times over. 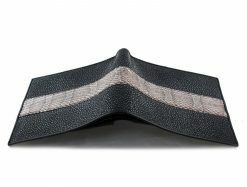 For this shark wallet we’ve added a sharkskin interior. 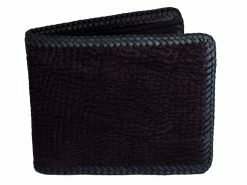 A combination of two exotic leathers make these wallets a real talking point. 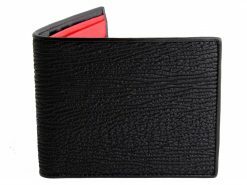 Extremely popular, these custom leather wallets are a limited run and exclusive to Real Mens Wallets. Exceeds expectations by a lot. Would purchase again I want to try some of the other leathers. 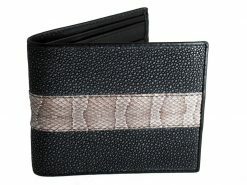 This wallet is amazing, purchased two years ago and it still looks new. 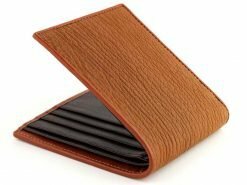 Such amazing craftmenship, about to buy another from this site. Well worth the money. Just received and exactly as advertised! Beautiful and worth every penny! Excellent Wallet, Great quality. Arrived in 3 days. Would definitely recommend. Ashley in New Zealand.